World Book Day is being held on Thursday 6th March this year and we’re looking to hold book related events during the whole week, starting March 3rd. We've been in touch with over 100 schools and asked them if they'd like us to help them organise book related fun during that week. We've had a great response and it looks like we'll be very busy. If you are an author, and you're free to come to a school or two in Haringey, or you're a publisher and you know of any authors who may be free, please get in touch. We'll make sure the schools are primed for the visit and we'll do our very best to sell as many copies of the visiting authors books. Kids love these visits and a lot of our local schools do a great deal to raise the profile of books and reading, especially during the week of World Book Day. It would really top the week off if the kids got to meet a REAL AUTHOR!!! Anyway if you can help, you can contact us in many delightful ways, and here are three of them. It's been quite some time since I've posted something on here. The reason is this. After the Literary Festival in October, I kind of broke. The Festival was great. Really great. But I had no idea how much it was stressing me out until it was over. Seems it was stressing me out quite a bit, because afterwards I zoinked out for a while. I could work at the shop OK and do all the day to day things, but all the extra stuff that the shop need to live thrive and survive I just couldn't face doing. 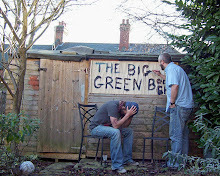 Tim was a bit of a hero and put up with me for a month or so while I sorted my head out, but it did kinda make things tricky at the shop. Anyway, blah blah blah, i'm all fixed now. We've got some rather jolly plans for 2014. The first one is that we're launching our own "Book of the Month". 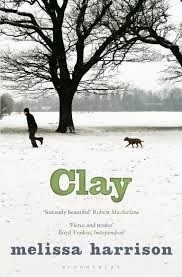 Clay, by Melissa Harrison is due to be published on January 14th. Ha ha, but we've got it early. Especially for you (as Jason Donovan crooned). It rightly gained a string of great reviews and was chosen by Ali Smith as one of her "Books of the Year" in 2013. It's a wonderful book whose characters were brought to life beautifully. It also made me appreciate the nature that can be found in the most unlikely of places. Through January, we'll be selling the book in the shop for just £5.99. If you want to get it online right here, right now, we'll stick it in an envelope, put a pretty sticker on that envelope and post it to you for just £6.99. The important thing is that you read it. So, even if you don't get it from us, do make sure you check it out, eh? I'm reading two books right now. They're both rather good. One is Donna Tartt's Secret History (yes, I know I should have read this ages ago, shut up), and also a book that isn't out yet, called Young Skins by Colin Barrett. It's an amazing collection of short stories, which I shall no doubt bang on about when it's published in March. Right, that'll do for now. We don't want to peak too soon do we.